You asked for an enormously Metal Rooster, and we delivered in a BIG way! 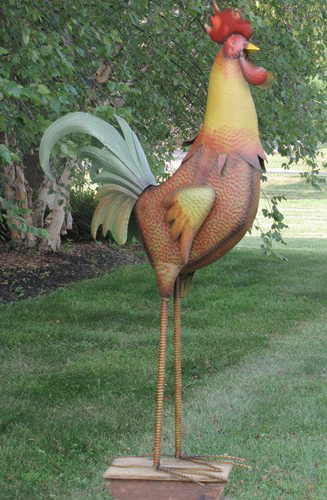 Make a huge statement with our new adult size 70" Giant Metal Garden Rooster! We couldn't wait to get this up, we haven't even had time to finish the extended description!